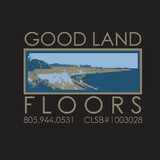 Goodland Floors is locally owned and operated serving both commercial and residential clients. Based in Santa Barbara we provide quality workmanship and are committed to meet all your flooring needs. Owner, John Ramirez, is a third generation floor installer specializing but not limited to solid and engineered hardwood, laminate, linoleum, cork, vinyl and luxury vinyl planks. Beginning with a site survey and consultation we are dedicated in working with our clients every step of the way to their final walk through of the finished product. Our flexible hours make it convenient for those in need of weekend or after work consultations, and for those with demanding home improvement deadline dates. *Authorized Dealer of Shaw Floors* Channel Islands Floorcoverings is family owned and operated. At Channel Islands Floorcoverings, we use our own installers. We never sub-contract our projects. When you hire Channel Islands Floorcoverings for your flooring projects, you will interact with us and us alone. We take great pride in our history of satisfied clients and A+ customer service. Custom hardwood floor company with over 35 years of experience in all phases of hardwood flooring manufacturing, sales, installations, stair fabrication. 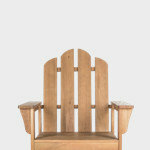 We specialize in dustless sanding and custom organic colors and finishes. We believe floors are one of the most important mediums in the structure and take every project personally. We integrate the latest wood flooring technologies with time-tested techniques that have been refined over years of experience, applying the beauty of nature to your home. Family owned and operated. Quality craftsmanship. 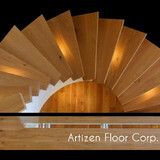 Family owned and operated since 1979 we specialize in hardwood, engineered and laminate floor installation and repair. We are also a full full service custom floor installation, sanding and finishing outfit with the latest in dustless technologies. We offer Mobile Wholesale flooring such as laminate, engineered wood, and solid hardwood at a discounted rate. We have a mobile showroom that arrives at your door with product samples and knowledge to successfully accomplish your project. Were located in Ventura County, Ca but service the United states. *Authorized Mohawk Dealer* Founded in 1947 by Jim Andros who got his start in flooring with Hayward’s Floor Covering. Andros Floor Design has been Santa Barbara’s premiere flooring destination for over 66 years, we have been fortunate to help many families and businesses make the homes and offices “More Beautiful”. Balancing the values of a family-operated business with the expertise of a high-end retailer, Andros Floor Design has built an amazing legacy and continues to do so today. Andros Floor Design is known for their outstanding service, selection and value, and has been recognized with numerous awards. 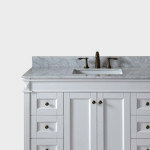 Andros Floor Design dedicates its success to their ethics and support for other causes. You can be confident that our excellent standing with the Better Business Bureau and the California Registrar of Contractors means we’ll get your project done correctly. With a proven track record for 7 decades, experienced staff, the BEST BRANDS, expert installation service, coupled with a complete Customer-Centered approach to our business model Andros Floor Design will be here another 66 plus years serving Santa Barbara’s future generations. 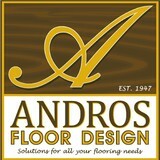 Andros Floor Design is more than just a flooring specialty store. We are experts trained in flooring sales and design and we will help you find the perfect floor for the way you live and or work. The Andros Mission Since the first customers passed through the doors at the original Andros Flooring store in 1947, we have had a single mission: To provide customers with the best in service, superior products and a unmatched installation service in the area. Over the decades, everyone, from store managers to installers and customer service representatives, have worked together to ensure complete client satisfaction. Product Guarantee Unlike any competitors in the market, Andros Floor Design offers Our “Points of Difference” a Lifetime Installation, Price Protection and Satisfaction assurance guarantee on all products installed by the Andros Floor Design team. This guarantee has been widely hailed as the strongest floor cover retailer guarantee in the industry. Collaborating with architects, designers, and high net worth homeowners to create custom, made to order, hardwood plank and parquet flooring. 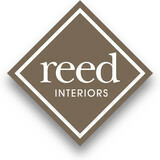 Specializing in hospitality, restaurant, retail, corporate, and high end residential projects. We have been in business for the last 25 years, proudly serving the Thousand Oaks and surrounding areas. Our unparalleled service, competitive prices, and overall value are why our customers keep returning. Tim Talan, owner of Traditional Floors, has been continually in the custom hardwood floor business, since 1979. He originally worked for his father, learning the trade for seven years. He went into business for himself in 1986, starting Traditional Floors. From early on, Tim has been mainly focused on the higher end solid flooring market. We specialize in solid, unfinished, custom milled, long length plank and parquet in all species. We also do an extensive amount of repairs and refinishing of all types of wood flooring be it pre-finished or solid. No job is too large or too small. We are highly recommended by insurance companies and adjusters. We appreciate your interest in our company and look forward to working with you. Remember Quality Doesn't Cost, It Pays! A real store with 3 warehouses. 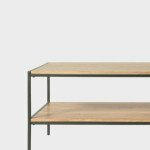 We have a wide selection of laminate, engineered, solid wood, pre-finished and unfinished flooring available on display. This means manufactured back warranties, expert advice and proven end results for you. Instead of selling online with a polished website and a risky shopping cart, we sell store front, so that you don’t have to take the risk of getting wood shipped from a random and unknown warehouse. We have the Largest Selection for Wood Flooring in Los Angeles! At Global Hardwood & Supply we are passionate about making our customers happy and providing them with premium-grade flooring with the lowest prices guaranteed. 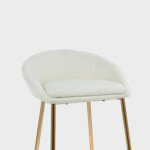 With specialized customer service it is hassle-free while shopping with us. Hello, my name is Cindy Baker, and this is Timber and Wool Custom Floors where our mission is to provide exceptional service, the best materials and professional installation. My experience in the flooring industry spans over a decade with eight of those years right here in Santa Barbara. In that time I have helped home owners, property managers, real estate agents, designers and contractors with purchasing and installing their flooring. My expertise is in knowing what the needs are of my clients and having up to date knowledge of the materials and installation to suit those needs. Whether you are building a new home or remodeling an existing I can help you find the right floor to suit your design and budget. Deciding what style, color and type of flooring is best for the different areas of your home can be an overwhelming task. I can help make this easy by taking you step by step through the process. We have been in the flooring business for over 10 years and have gained extensive knowledge, working experience and recognition as experts in this field. Our beautiful showroom offers a wide variety of products from solid to engineered hardwood floors and all related accessories. The selection of our melamine-lamiinated floors will satisfy any needs from your commercial to residential clients. We also do custom staircases, offer a wide variety of mouldings, doors and windows. What kinds of services do hardwood flooring installation professionals in Mission Canyon, CA provide? Find hardwood floor experts in Mission Canyon, CA on Houzz. Search the Professionals section for Mission Canyon, CA hardwood flooring installers and dealers or browse Mission Canyon, CA photos of completed installations and look for the professional’s contact information.